Oh my! Winnie from Winnish.net has done it again. 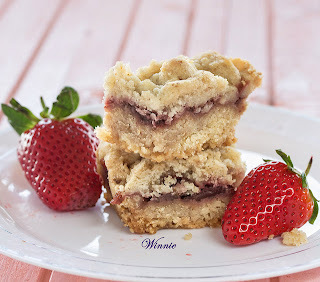 I love strawberries, and her Strawberry Crumble Bars she shared on Dare to Share look so delicious. 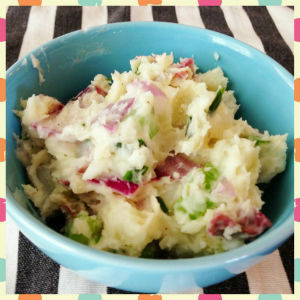 There is a translation button on her blog so you can see how she made her recipe and look at more mouth watering pictures. Thank you so much for linking up Winnie! Do you remember when I posted about Kara's Rainbow Flower project a few weeks ago? She made it for a special project at school where her class was trying to earn money for the Heifer Foundation. We found out on Friday that as a class they made enough money that they can send two Llama to a village in need. I think spring has finally come to stay where I live. It is going to be in the 60s and 70s all week long. People are breaking our their shorts, and other spring clothing. Crystal from Make it Easy Crafts shared the most adorable spring flower shoes that she decorated herself, that would be so much fun to wear. What a cute way to dress up an old pair of shoes to make them more on trend. To see how she made these adorable shoes, stop by her blog Make it Easy Crafts here. Thanks so much for linking up to Dare to Share Crystal! 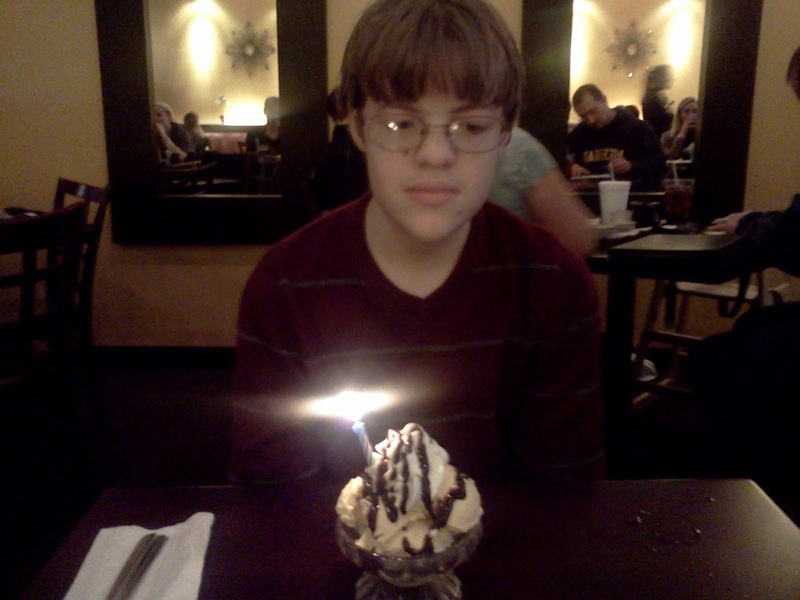 Kyle's birthday is here again. I can't believe he is 14, and almost ready to start high school. 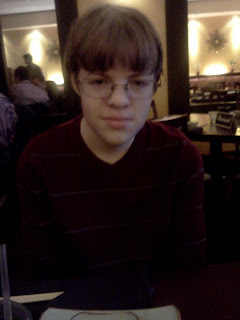 Today I asked him if we would like to have a special dinner with me to celebrate his birthday. He chose to go to my favorite sushi restaurant, and try some sushi. 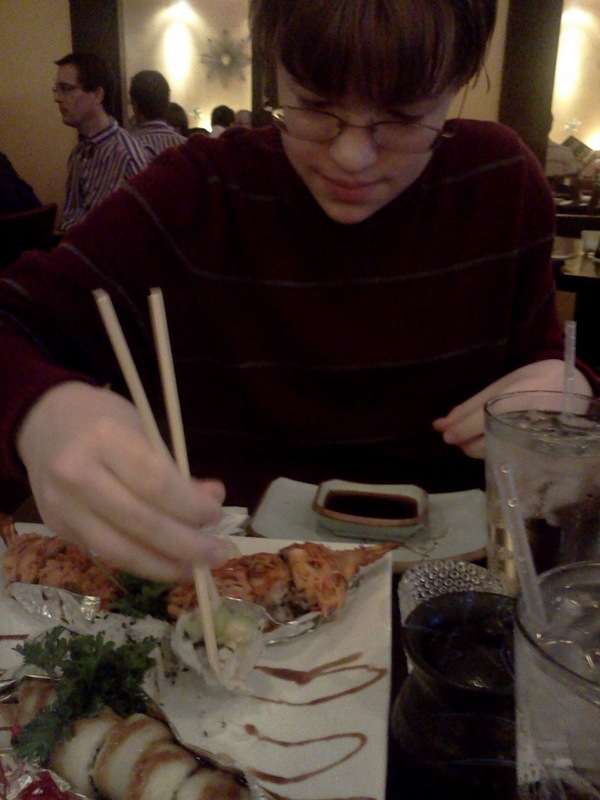 It is actually kind of interesting he chose to eat sushi. 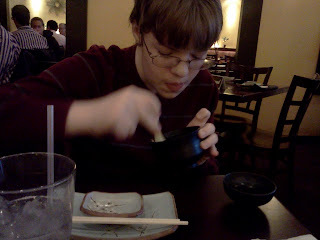 With his Aspergers, he doesn't always want to try something new. Here he is trying to figure out how to pull apart the chopsticks. He wasn't sure if could hold them the right way when the food came, so he practiced for several minutes. 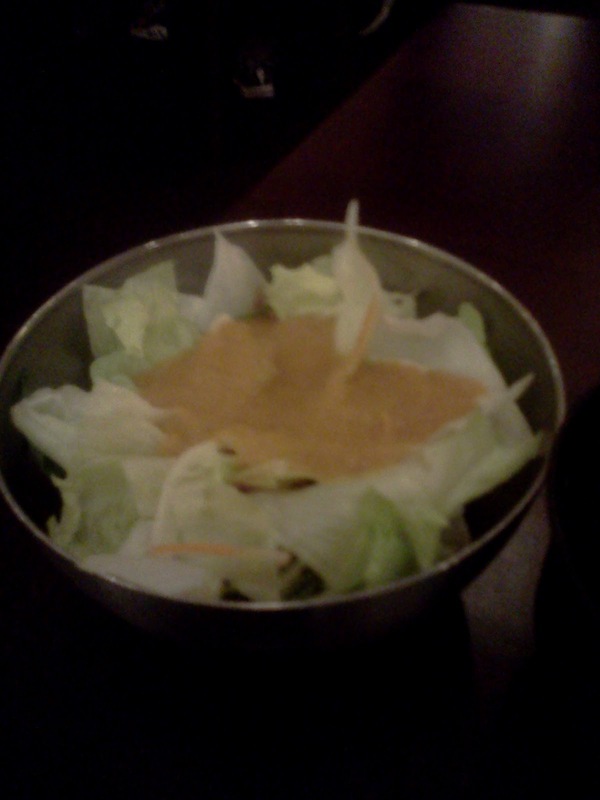 He did refuse to eat the salad, because he didn't want to try the ginger dressing. 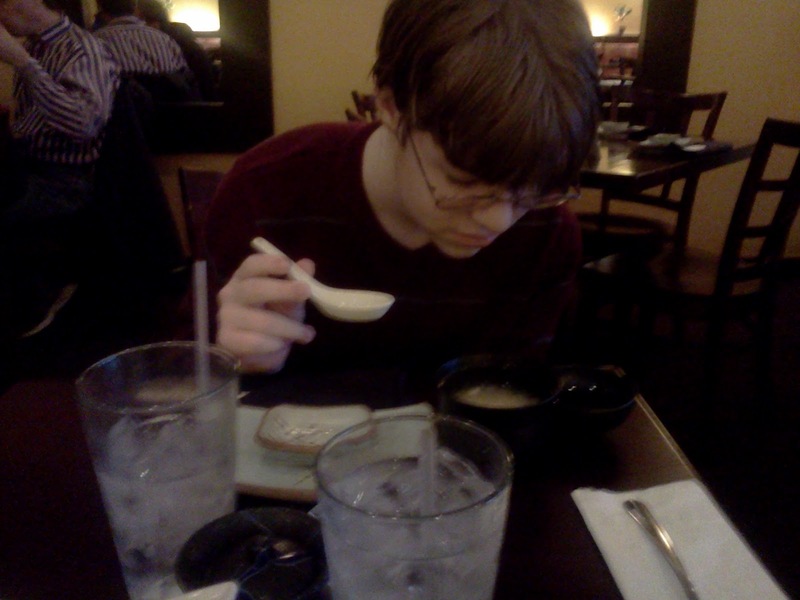 Here he is checking out the Miso soup. He ended up loving it, and ate every single drop. When our sushi came, it was in the shape of a butterfly. You never know until it arrives how it is going to be presented. 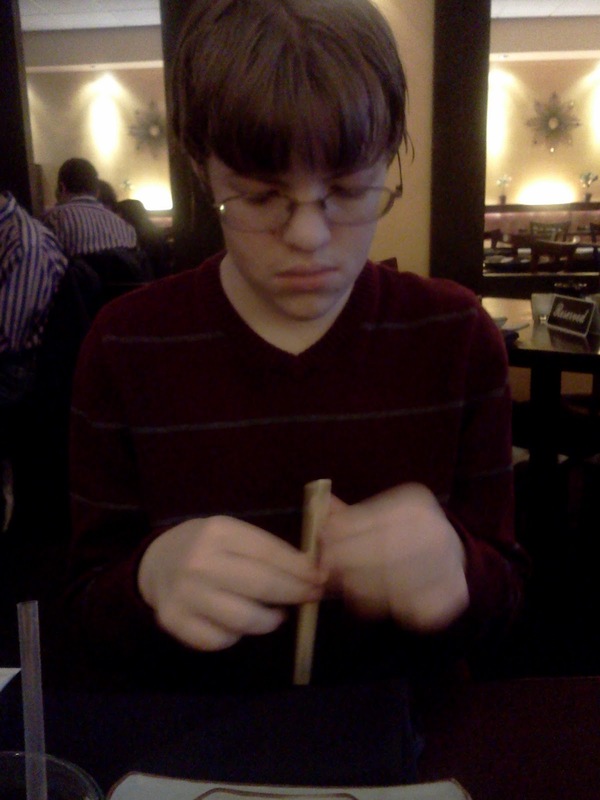 I was hoping he would want to try the sushi rolls I love, but he didn't want to. 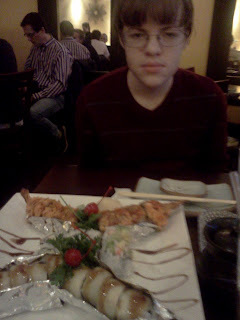 We ended on compromising. He chose a Livingston roll (I had never tried before) and I chose the Snowman Roll. (my favorite) We compromised, and also got a California roll. 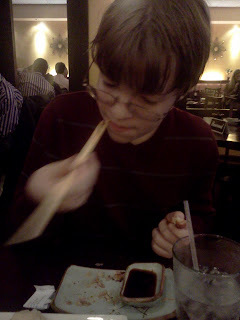 Turns out he didn't need to worry about eating with chopsticks. He figured it out quickly. 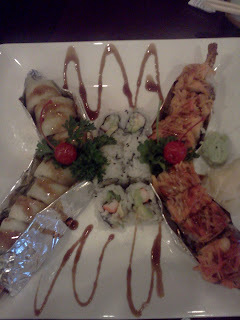 When dinner was over we were given a great surprise. 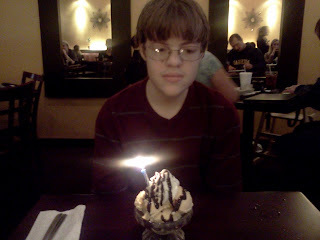 He got a free bowl of ice cream for his birthday, and I was told our bill was already taken care of.. 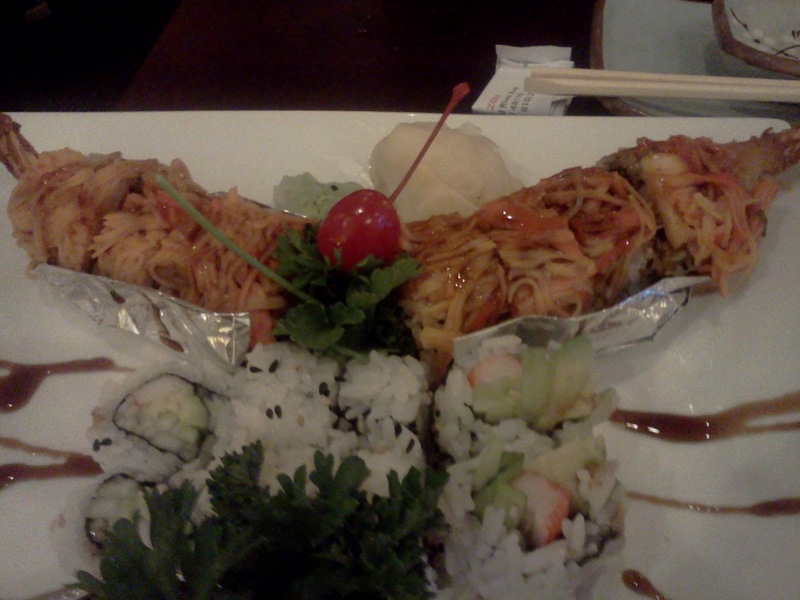 Seems the nice couple who were sitting next to us knew it was his birthday, and secretly told the manager that wanted to pay our bill without us knowing. They had already left before we were told, so we had no way to thank them. So if by chance they see this.. THANK YOU very much for the sweet act of kindness, and wonderful gift!! Another week has flown by. We are starting to get into the end of the school rush, so things will be busy around here in the coming months. This week it was all about Earth Day and saving money. Earth Day is still on everyone's minds. My daughter's class is currently learning about ways we can help others by upcycling. When I saw how Mandy from Hong Kong Chic made this First Aid Case from upcycled denim, I knew it would make a great Dare to Share Feature of the Day. I really like her detailed picture tutorial that is easy to follow, even for those who are not advance sewers. 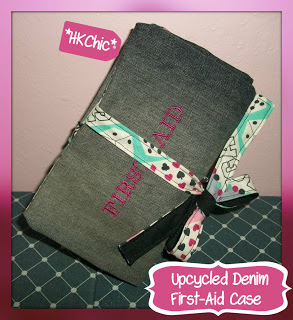 Stop by and see how Mandy made this useful upcycled first aid case on her blog Hong Kong Chic here. Thanks for linking up Mandy! After our Sharing is Caring Easter Hop was a success, we decided to do it again for Mothers Day. 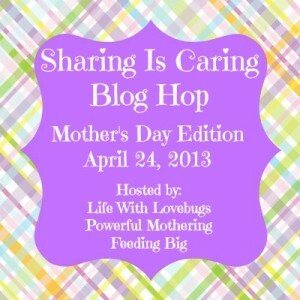 This post is part of the Sharing is Caring Mother's Day Blog Hop hosted by Life With Lovebugs, Powerful Mothering and Feeding Big! I am going to share a way you can give a great Mothers Day present, even when you do not have much money. Now that spring is finally here for the most part, people are beginning to think of their garden. I plant a garden every year with mixed results. Some years I have a big bounty, other years it is more scarce. One thing that I have not had the best luck with is growing peppers. Mary from Back to the Basics is an organic gardener who shares a lot of gardening tips. In her recent post she shared tips on growing hot peppers. So if you like to garden, or need any tips be sure to check out Mary's blog Back to the Basics. Thanks for linking up Mary! 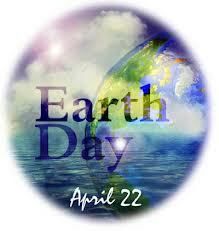 celebrate the Earth, and find ways to make it a better place to live. You may think it is hard to be green. I have to admit, there are times I am all for convenience instead of doing what is better for the earth. There are simple things you can do though, that will help make a difference and even save a little bit of money. 1. Use energy saving CFL light bulbs. CFLs last for up to 10,000 hours, and use a lot less energy. If you don't want to change all of your bulbs, why not consider just changing the lights you use the most. 2. Make your own cleaners. Not only is making your own cleaner safer because you are not using chemicals, they are much cheaper too. Baking soda has long been known to be great for cleaning, and it costs less than $1 a box. If you don't know how to make your own cleaner, you can find how to clean just about anything from hundreds of blogs online. 3 Use reusable cloth bags. While I did not make it to Target yesterday to get the free bags they handed out, I did get this one a few years ago. Using cloth bags keeps hundreds of bags from the landfill. They can also save you money as many stores give you a .05 credit for each bag you use. 4. Recycle items like cardboard, plastic, aluminum cans and newspapers. Where I live our local schools earn much needed money when people place their newspapers in their recycling bin. I am also living in a state where we get .10 back per can when we bring them back to the store. While we do have to pay a deposit when we buy our pop, it is always nice to get that cash back at a later time. 5. Turning off the lights sometimes can be hard if you have kids in the house. I know my teenagers are horrible about turning off the lights. I ask them all the time if they have forgotten how to use the light switch. Turning off the lights when you are not in the room not only saves energy, but saves money on your electric bill. 6. Leaving your chargers and electronic cords plugged in when not in use are still sapping energy. Try to remember to unplug them when not in use. 7. When you leave the faucet running while brushing your teeth, you wasting a lot of water. By remembering to turn off the faucet each time you brush, saves a lot of water over time. 8. Donating unwanted items instead of throwing them away. Even though you do not want to anymore, does not mean that someone else will not want it. Also donating gives you a nice tax deduction on your taxes. 9. 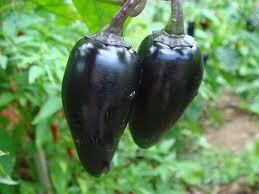 Fresh vegetables grown in your own garden not only taste wonderful, but they teach kids where food comes from. Picky eaters might also eat foods they normally would not if they grow them themselves. 10. Use items that would be thrown away and upcycle. 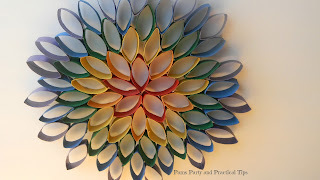 Kara's Rainbow Flower was made completely out of toilet paper tubes. Some of the other projects her classmates brought in were amazing. They made birdhouses out milk cartons, earrings from soda cans, piggy banks out of jars, and so much more. Think out of the box you can find so many new uses for just about anything. Hope you have a HAPPY EARTH DAY! If you would like to earn a little bit of money online, Pinecone Research is a great company to work with. 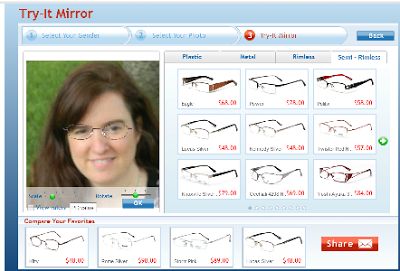 They conduct online interviews with consumers to obtain opinions about new products. Each interview only takes about 15-20 minutes of your time, and you earn points which is exchanged for cash and other awards. You are also automatically entered in a bi-weekly Sweepstakes for additional prizes. To see if you qualify to become a panel member all you need to do it complete the simple form here. I used to be a thrift store snob. It wasn't that I didn't think those kind of stores had a value to others, just that I didn't need to spend my time shopping there. In more recent years, I have changed my ways. I have found that you can find some amazing deals at a thrift store. Not only is it a great place to shop for crafting/decor, but you can even find some great clothing items at an unbeatable price. 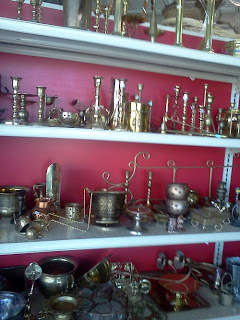 Today while checking out a consignment store for an Examiner.com article I am writing, we also made a quick stop at the Salvation Army store across the street. They were having a white tag special. All white tags on items throughout the store were 50% off. If you bought 5 white tag clothing items, you got all 5 for a total of $5! Only $1 each, no matter what was on the tag! This sale was definitely worth checking out. Look at what I found, an actual pair of Ralph Lauren jeans! 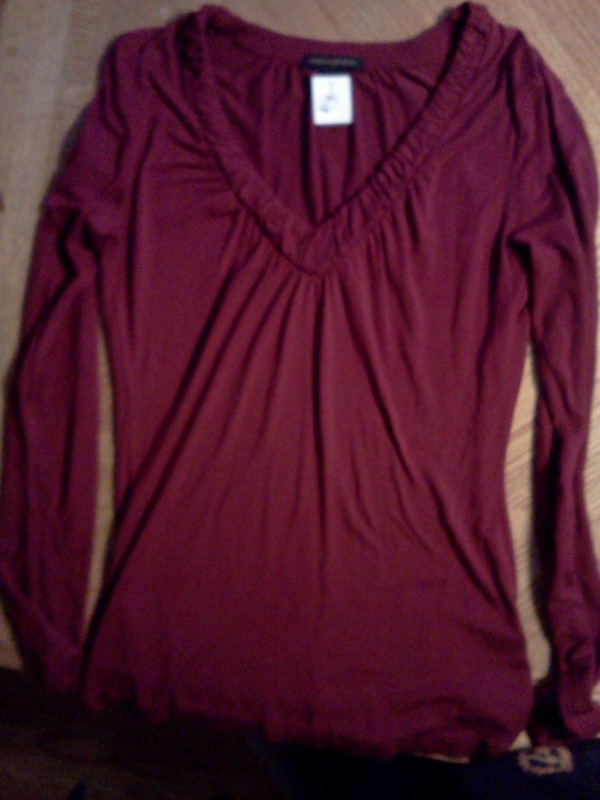 The white tag was marked $9.99, but with today's sale they were only $1! After a quick look online, I found they normally start at $89.50 a pair. Wow! I think these might be the only pair Ralph Lauren jeans I am going to own. 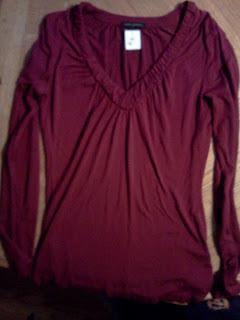 I also found this cute top. It looks cuter on a hanger, but I didn't feel like running upstairs to get one for the photo. I found a couple of Wilton pans for .99 each, and a Nestle Tollhouse gingerbread pan for $2.99 in the kitchen area. I plan on using the .99 green container for an upcoming post. At the consignment shop I found two books that interested me enough to pick up. A Day in the Life of the American Woman book has a suggested price on the book flap for $35. I found it in the clearance room for 80% off the sticker price of $6.00. Final price was only $1.20. It looks like a very interesting read, and would make a nice Mother's Day gift. I also found the Real Food, Real Easy book for $4.00. The current Amazon price is $16.63. My total only came to $5.20, but they only took debit/credit cards if the total is over $10. Since I did not have cash on me, I allowed my daughter to also get a pair of $7 leggings that she wanted. Total spent at the consignments store $13.14. So for $27.93 we got 2 pairs of jeans (1 of them designer) 2 pairs of shorts, 2 tops, a pair of leggings, 3 specialty baking pans, 2 books and a metal container. If you don't normally shop at thrift stores, they might be worth a visit. What a week! I am sure many of us felt that way. With loss of life in both Boston and West, Texas, this week seemed harder than most. I lived in a small town about 30 minutes outside of Boston for a time as a child. I remember taking a few trips into the city. While that was many years ago, I still have fond memories of my time there. The news of the week had me in a creative funk. I just wasn't in a crafting mood. Instead I had a few other posts. Did you see the post about GlassesUSA? My teenage daughter told me recently that in all the old pictures where her dad and I were wearing glasses, our glasses looked dorky. In my post I shared how I was able to try on glasses that pass the dork test online in my post here. I also shared some of my favorite practical tips I found on Pinterest. 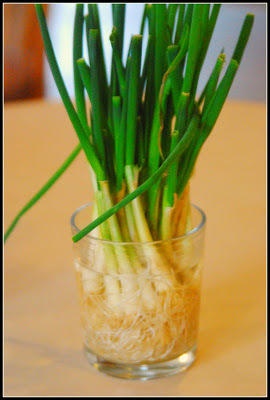 I bought some scallions today, so we can see if the tip pictured will work. You can see what tips I want to try here. 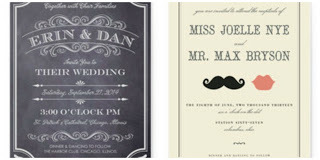 It is also in the final minutes for my $50 giveaway to Minted.com. You have until midnight tonight! (Friday) If you would like to enter, you can do so here. Did you have a chance to see the Features of the Day this week? Here is your chance to see them again. Now it is time for this week's party. There are not any rules, just link up what you would like to share. You are not required to be a follower, but I would love it if you did. If you are chosen as the Feature of the Day, your post will be promoted on the blog, Facebook, Twitter, Pinterest, and G+. I really like the Chalkboard Message Boards that Alexis from We Like to Learn as We Go shared on Dare to Share. I think what I like most is that she uses items she found at the dollar store. This is a nice idea for your family, and you can leave personal messages to brighten their day. 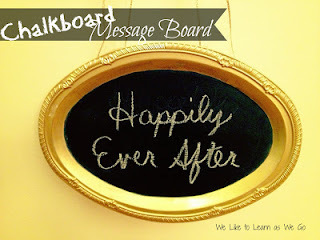 To see how Alexis made her chalkboards, but sure to see We Like to Learn as We Go here. 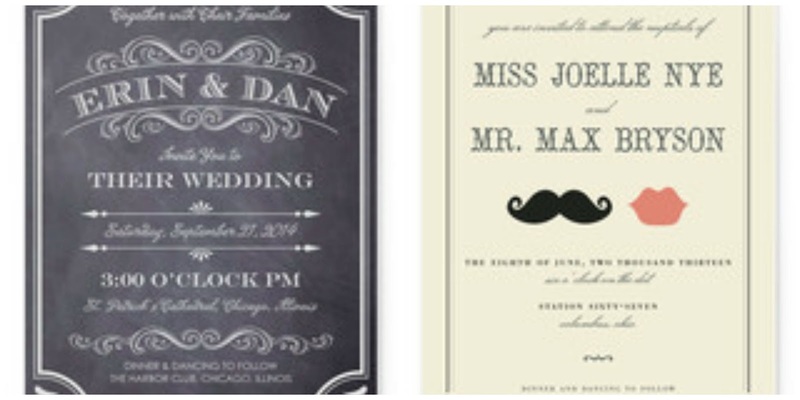 Thanks so much for linking up Alexis!